The Illegal War on Libya and How the US Creates “Sh*thole” Countries. all of these are available through Clarity Press. She holds a B.A. from the University of Southern California, an M.A.L.D. from Fletcher School of Law and Diplomacy and a Ph.D. from Antioch University. Cynthia McKinney is a former Green Party nominee for President of the United States and is an Assistant Professor at North South University. Barbara Honegger, M.S. has served in high-level positions in the United States Government, including White House Policy Analyst, Special Assistant to the Assistant to the President, and Director of the Attorney General’s Gender Discrimination Law Review at the Department of Justice, where she was the highest-ranking official for women’s rights in the federal government. From 1995-2011, Ms. Honegger served as Senior Military Affairs Journalist at the Naval Postgraduate School, the premier science, technology and national security affairs graduate research university of the U.S. Department of Defense. Her pioneering book, October Surprise on the deep story behind the Iran side of the Iran/Contra scandal led the full-subpoena-power Congressional Iran/Contra Investigation. Since 9/11, Ms. Honegger has been a leading researcher, journalist author and public speaker at conferences and presentations in the U.S., Europe and Canada. 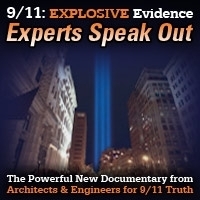 Ms. Honegger is a Board Member of the Lawyers’ Committee for 9/11Inquiry and a member of its Grand Jury Petition drafting committee which on April 10, 2018 filed a formal Petition supported by evidence calling for a special criminal grand jury to re-investigate WTCs building 1, 2, and 7 with the U.S. Attorney for the Southern District of NY. 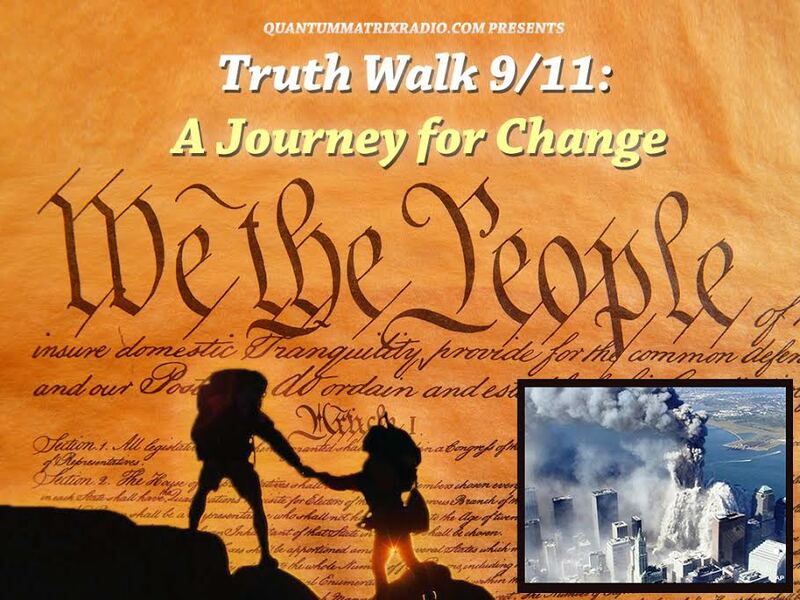 Ms. Honegger wrote and produced the video documentary the 9/11 Museum Virtual Walking Tour . She is also the creator of the groundbreaking 9/11 Pentagon attack video documentary Behind The Smoke Curtain: What happened at the Pentagon, and What Didn’t, and Why It Matters, with over a half a million collective views on YouTube. Ms. Honegger earned a Bachelor of Arts degree from Stanford University, a Master of Science degree in Consciousness Studies from J.F. Kennedy University; and Masters level certification in National Security Decision making from the Naval War College. She has twice run for Congress. This show was broadcast on August 13, 2018. This entry was posted on Sunday, August 12th, 2018 at 6:25 pm	and is filed under 9/11, Anti-War, Censorship-Propaganda, Disaster Capitalism, Education, False Flag/Fake Terror, Freedom, Geopolitics, Globalism, Human Rights, Justice, News, Occupation, Politics, Protest, Quantum, Regime Change, War Crimes. You can follow any responses to this entry through the RSS 2.0 feed. The Left/Right paradigm is an illusion – a trick by the plutocrats to divide and rule. Left and Right are both statist ideologies. There’s practically no difference between them. Fascism was invented by Mussolini, a famous Marxist, who founded the Fascist Party in Italy, in 1919. When Mussolini won his first election, he was congratulated by Lenin. Lenin, another Marxist, was leader of the Bolshevik Party, which in 1917 began the establishment of the Union of Soviet Socialist Republics in Russia. Bolshevism – aka Russian Socialism, Communism, Leninism, and Marxist-Leninism – differed from Fascism in only one respect. Under Bolshevism, the government owned and ruled the state – in the same way that, in the past, feudal monarchs had owned and ruled their states. Under Bolshevism, all the land, all the assets, and all the businesses, were confiscated by the government and managed by government agents. The same thing happened in China under Mao Tse-Tung, who ruled like a medieval emperor – and in Cambodia, where Pol Pot did the same. Under Fascism, however, the government allowed people to own their own land and businesses. But they were compelled, on pain of imprisonment or death, to follow government orders. Mussolini’s Fascist Marxism was more successful economically than Lenin’s Bolshevik Marxism, and its model was adopted by Adolf Hitler, the leader of the German Worker’s Party, who changed his party’s name to The National Socialist Workers Party. So, Communism was state-run Socialism, and Fascism was state-controlled Socialism. And Communism and Fascism were really new forms of Monarchism – with the nation ruled by a monarch (now called a president, or a chairman) and a court or privy council (now called a Committee, or Commission). During the 18th and 19th centuries in Europe, popular movements arose to overthrow Monarchism. These movements were called ‘Liberal’ because they wanted liberty from statist tyranny. Liberalism claimed that all people were equal, had natural rights, and should not be servants of the state. The Liberals claimed that the state should be the servant of the people. A democracy, not a monarchy. Government by the people, for the people. Liberté, Egalité, Fraternité. During the 19th century, almost every nation in Europe had a democratic revolution. The only major country that didn’t was Britain. But British colonists in America did, and created a government constitution intended to ensure a permanent, indirect, democracy. Almost every nation in Europe also fashioned a democratic constitution. The only one that didn’t was Britain, which still has no written constitution. 1) Monarchism – aka Socialism, Communism, Fascism etc. 2) Liberalism – aka Democracy, Libertarianism. After the success of Liberalism in the 19th century, the forces of Monarchism fought back and, with World War I, the Great Depression, and World War 2, re-established a modified form of Monarchism in almost every country throughout the world. Today, we are in situation like that of Europe at the beginning of the 18th century, when a tiny aristocracy owned most of the wealth. The latest statistics show that, in 2017, just eight people control more than half the world’s wealth. 80% of the world is poor. One third suffer from malnutrition. 25,000 people a day die from starvation, despite there being enough food for everyone, and a quarter of the food in grocery stores being thrown away. This is like France before the French Revolution. Just as the Enlightenment, which blossomed into Liberalism, was triggered by advances in printing technology, a new Awakening is, today, being birthed by the Internet. And, as they did in the past, the Monarchists are trying to repress it, using their control of academia and the media and using their wealth to take over Internet giants like Facebook, Apple, and Twitter. But, once again, democratic, populist movements are on the rise in Europe and the ‘powers-that-be’ are under threat. Thank you for all your work to bring truth to the people.